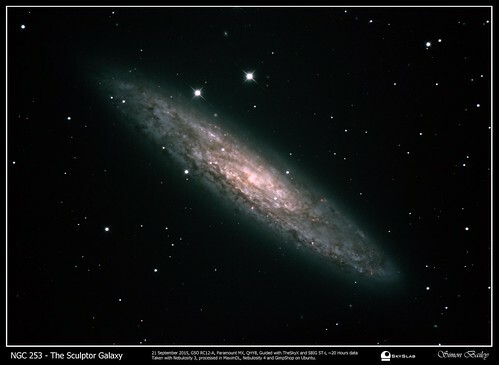 NGC253 is a superb target for amateur astronomers. You can get some grate detail in the dust lanes of this galaxy, which is part of the Sculptor group. This is also called the Silver Dollar galaxy. For some more detail, see this post on NGC253.